In September last year, I was asked to speak at the Transitional (Anglican) Cathedral in Christchurch. It was a 30 minute talk as part of Prophets in the Cathedral, a combined event run by the Diocesan Education Office and the Cathedral. I was delighted to be asked and I really enjoyed putting something new together. I wanted to look a fresh expressions of mission and in ways that a Cathedral congregation might find new possibilities and in ways consistent with their Anglican understandings of mission. 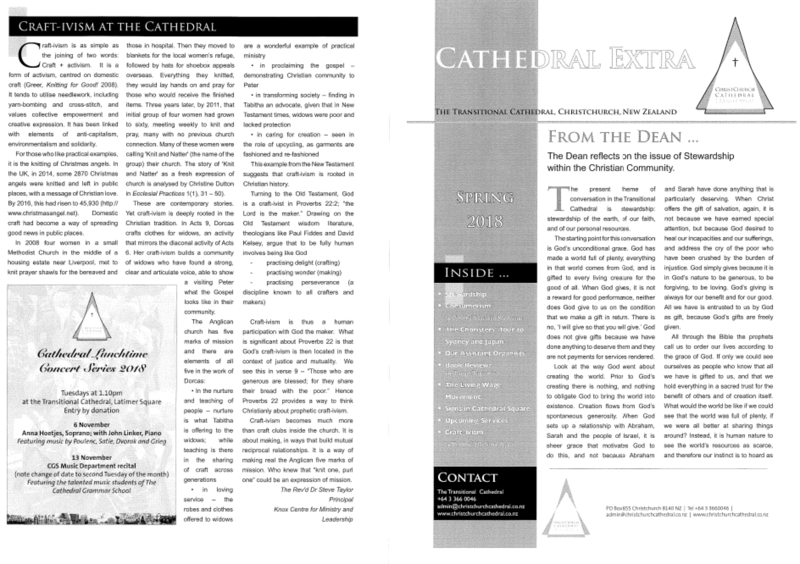 To my delight, the Dean was so enthusiastic about what I said that he that he emailed afterward asking if a summary of my talk could be used in the Cathedral Extra, the quarterly magazine, which goes to supporters all over Christchurch. It was quite an integrating (weaving) experience for me to knit (pun intended) reading and ideas together from various places in the last 5 years. What I wrote appeared late in November. I got the back page and all! Craft-ivism is as simple as the joining of two words: Craft + activism. 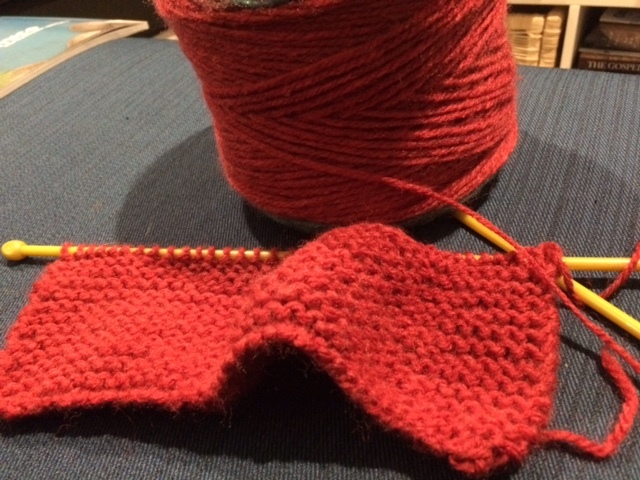 It is a form of activism, centred on domestic craft (Greer, Knitting for Good! : A Guide to Creating Personal, Social, and Political Change Stitch by Stitch , 2008). It tends to utilise needlework, including yarn-bombing and cross-stitch and value collective empowerment and creative expression. It has been linked with elements of anti-capitalism, environmentalism and solidarity. For those who like practical examples, it is the knitting of Christmas angels. In the UK, in 2014, some 2870 Christmas angels were knitted and left in public places, with a message of Christian love. By 2016, this had risen to 45,930 (http://www.christmasangel.net). Domestic craft had become a way of spreading good news in public places. In 2008 four women in a small Methodist Church in the middle of a housing estate near Liverpool, met to knit prayer shawls for the bereaved and those in hospital. Then they moved to blankets for the local women’s refuge, followed by hats for shoebox appeals overseas. Everything they knitted, they would lay hands and pray for those who would receive the finished items. Three years later, by 2011, that initial group of four women had grown to sixty, meeting weekly to knit and pray, many with no previous church connection. Many of these women were calling Knit Natter their church. 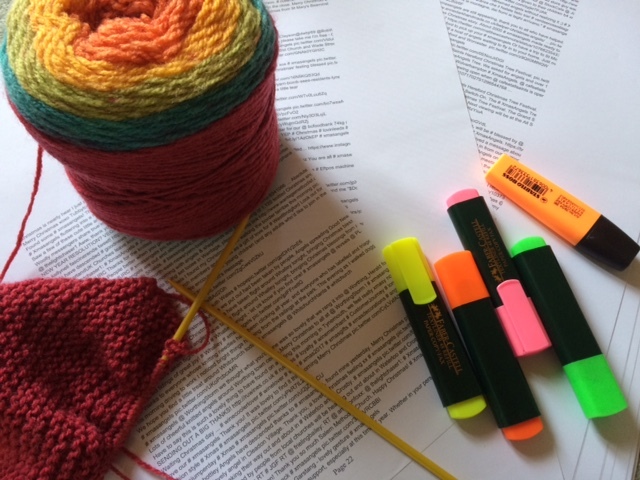 The story of Knit and Natter is a fresh expression is analysed by Christine Dutton in Ecclesial Practices 1(1), 31 – 50). These are contemporary stories. Yet craft-ivism is deeply rooted in the Christian tradition. In Acts 9, Dorcas crafts clothes for widows, an activity that mirrors the diaconal activity of Acts 6. Her craft-ivism builds a community of widow’s who have found a strong, clear and articulate voice, able to show a visiting Peter what the Gospel looks like in their community. This example from the New Testament suggests that craft-ivism is rooted in Christian history. Craft-ivism is thus a human participation with God the maker. What is significant about Proverbs 22 is that God’s craft-ivism is then located in the context of justice and mutuality. We see this in verse 9 – “Those who are generous are blessed; for they share their bread with the poor.” Hence Proverbs 22 provides a way to think Christianly about prophetic craft-ivism. 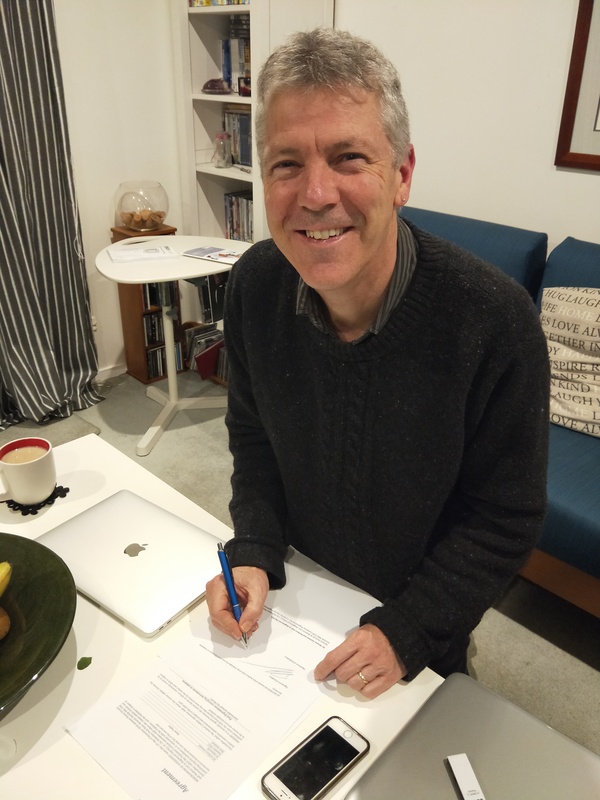 I’ve recently signed a book contract with SCM Press, for a book on sustainability and innovation. The provisional title is First Expressions: emerging movements in mission. It will be drawing on my longitudinal research on new forms of church ten years on. I’m particularly interested in what we learn from those who try/play/experiment and how we theorise the tension between durability in cultures of continuity and fail fast in cultures of discontinuity. 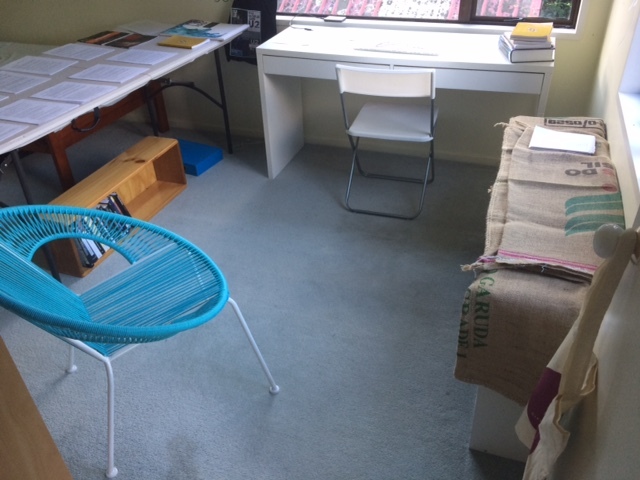 I’ve had the empirical data for a while and the UK trip in June included the opportunity to connect with SCM editor, David Shervington who reached out on twitter and then graciously accommodated my lateness as the British Library refused me entry because my suitcase was too large. A book proposal and 2 draft chapters, some back and forth and SCM said yes a few weeks ago. I never imagined writing one book, yet alone three, so I’m pretty pleased. I’m due for some sabbatical time February through May 2019, so the timing is perfect, with the full manuscript due to SCM in May. In the meantime, I have a few other deadlines to complete (ducking to hide from Jione Havea and Christine Woods). Third, the argument – as to the presence of both sect and mystic types – emerges from a study of one community. In so doing, the value of empirical research is evident. The experience of Matthew Guest, gained by the repetition inherent in ethnography, the repeated experiences of engaging Visions, generate the insights regarding the social boundaries, unseen but present. His interviews provide a depth of insight, probing the complexity of participant experience (Evangelical Identity and Contemporary Culture: A Congregational Study in Innovation ). Such data can only be generated by the fine-grained studies characteristic of qualitative research into the lived experience of being in community. Yet every move toward such depth comes at the expense of breadth. It is an inevitable limitation. We gain insight into Visions, but are left needing to contrast with other comparable communities. This becomes possible by comparison with other empirical studies. The researchers might be different, but the data can be examined, probed for evidence of internal identity and the manner in which relationships with culture are being mediated. This returns us to my data presented earlier, the ten fresh expressions presented in Part 1. This week I’ve been teaching an intensive, Mission and the church. It has been an exhausting week – intensives by their very nature are demanding. At the same time, it has been a very fulfilling week. Nearly half the class was from inter-state and it was a joy to be resourcing the church nationally. 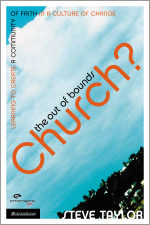 All of the class had significant ministry experience and thus it became not an exploration of theories for when people might move into ministry, but an intensely practical examination of what could be done now, in living communities. It is a privilege to opens a space and keeps alive a conversation about mission. evidence-based – stories of God’s activity are the evidence from which we discern mission. Three of the 8 sections featured post-graduate research which was studying stories, in order to discern. 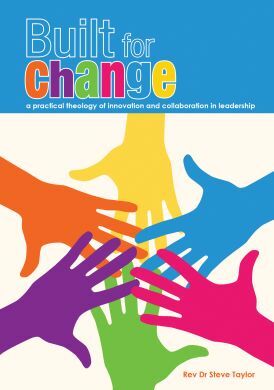 So time and again we found ourselves immersed in learnings from people coming to faith, communities exploring innovation 10 years on, churches planting community ministries. The feedback has been enormously positive. Thank you again for a great short course on mission, and the church’s place in it. It has given me, and my congregations, much inspiration to live and work to do, and enjoy. As always, I gain as much as I give in these conversations. On Thursday, as I shared some of my research of sustainability and fresh expressions (2 of the 8 chapters I’ve drafted), I found new insights emerging. It is a project I’m struggling to nail, unsure how to tell the story. As the class questions rained down upon me, I found myself making some fresh connections (and kicking myself that I’d forgot to record this section). All an important part of my own processing and clarifying. As I begin to analyse my data, the question of evaluation emerges. Simple measures for evaluation are numeric and financial. Do these communities grow? Do they survive? How are they sustained financially? I find these problematic. First, they don’t account for the richness of my data. Second, my methods are qualitative and numbers are quantitative. Third, the standards of numbers applied to fresh expressions are not consistent with those applied to inherited churches. So I am looking for more explicitly theological measures. I wonder if a Trinitarian mode might help. First I consider God as Creator, Redeemer, Sustainer. This is promising. I can argue that my data shows a high degree of creativity and a high degree of faith sustaining, but less of an overt redemption. However when I read my widely, I note a wider theological unease with God as Creator, Redeemer, Sustainer. It runs the risk of turning God into a doing, not a being; of cleaving the immanent Trinity from the economic. 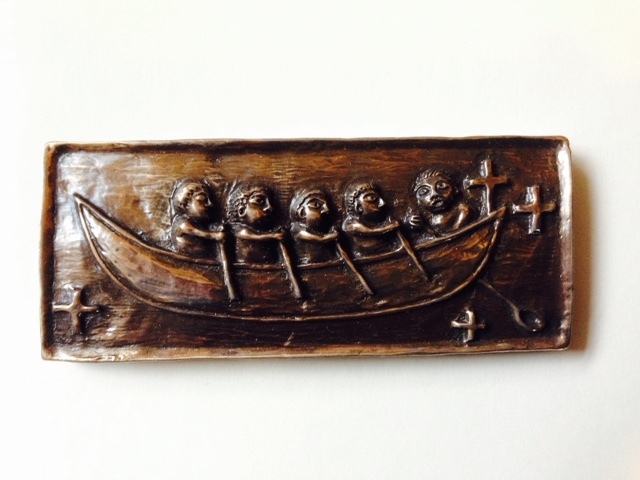 Then, by a process of curiousity, I discover the work of Bernard Lonergan, Neil Ormerod and Robert Doran in regard to the processions of mission. I read over eight journal articles and two books. This is most promising and a framework develops, by which I can assess my data. It would allow quantitative measures to be held with a qualitative frame. It unites the immanent Trinity with the economic Trinity. However, I remain aware that I am reading men, from a Catholic and Western tradition. Thus there is an (inevitable) particularity about where they are doing theology from. I continue to ponder this. Is there any work done on the processions of mission from a post-colonial perspective? Not that I can find. However, I can still work from first principles and primary data. The source closest to hand is the Uniting Church Preamble. While on Walking on Country, among indigenous people, I read again the Preamble. This is a most promising direction. There are indeed two processions of mission in the Preamble. However they yield quite a different framework by which to consider my data. At this point, I remain undecided about whether to try and synthesis the two frames (Lonergan et al and the Preamble), or to keep them distinct. I suspect a way to progress my thinking might actually perhaps lie in my data. Thus my next task is to see what emerges from my data when these two frames are applied. But as it stands, I certainly have enough to present in my paper tomorrow. A precis of some reading, thinking, writing and chatting (with anyone I think might even be vaguely interested in listening). How to evaluate the mission life of a church? Popular measures include numerical, economic (can we afford a minister and building) and romantic (the good old days). This paper will explore the measures that emerge when the Trinity is understood as one God, three Persons and two processions in mission. It will seek to develop the work of Bernard Lonergan, in conversation with Neil Ormerod. 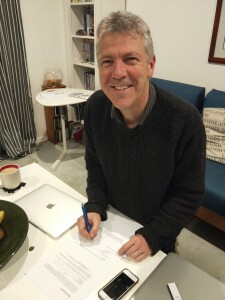 It will analyse their understandings, including paying particular attention to the understandings of Spirit and mission embedded in the Uniting Church Preamble. This provides a post-colonial voice in the development of a proposal for a post-colonial missional ecclesiology. 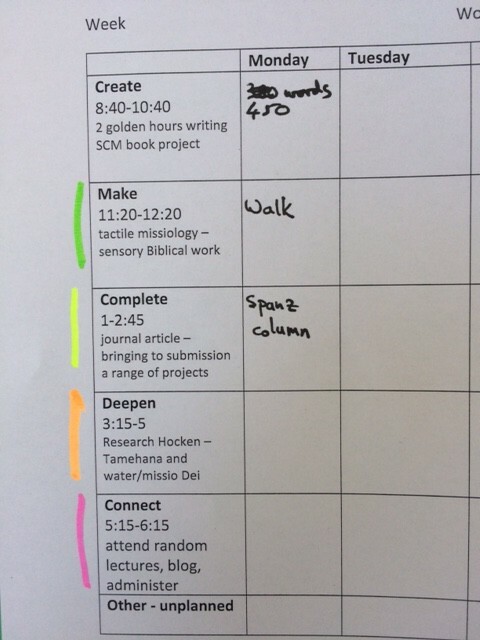 Four markers will be identified and tested on a case study: the author’s empirical research into fresh expressions of the church ten years on. Which I get to present, Monday, 4 May, Uniting College for Leadership and Theology Research hour, 4-5 pm. My journal article – The Complexity of Authenticity in Religious Innovation: “Alternative Worship” and Its Appropriation as “Fresh Expressions” – has now been published in Media and Culture. Because it’s not only a publication that is peer reviewed, but also online, it is available for free – here. In the article, I begin with an introduction to three thinkers who analyse the place of authenticity in contemporary culture. They are Charles Taylor (The Ethics of Authenticity ), Philip Vanini (in Encyclopedia of Consumer Culture ) and Sarah Thornton (Club Cultures: Music, Media, and Subcultural Capital ). Both “alternative worship” and Fresh Expressions are religious innovations. But Fresh Expressions defined itself in a way that conflated the space. It meant that the boundary marking so essential to “alternative worship” was lost. Some gained from this. 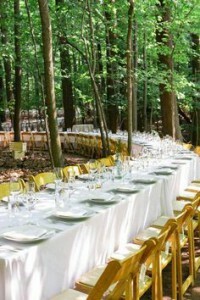 Others struggled with a loss of imaginative and cultural creativity, a softening of authenticity-as-originality. More importantly, the discourse around Fresh Expressions also introduced authenticity-as-sincerity as a value that could be used to contest authenticity-as-originality. Whether intended or not, this also challenged the ethic of authenticity already created by these “alternative worship” communities. Their authenticity-as-originality was already a practicing of an ethic of authenticity. They were already sharing a “horizon of significance” with humanity, entering into “dialogical relations with others” that were a contemporary expression of the church as one, holy, catholic and apostolic (Taylor The Ethics of Authenticity , 52, 48) …. The value of authenticity has been found to exist in a complex relationship with the ethics of authenticity within one domain of contemporary religious innovation. A colleague who read it last night called the article “brilliant.” A practitioner responded that it made sense of a ministry context they were part of. So that’s very encouraging. I’ve blogged about some more of the journey to publication here. But in essence, during Presbytery and Synod last year, I pulled together a paper proposal from a part of my PhD thesis that I’d always wanted to develop further. The abstract was accepted, which forced me to write a 1500 word paper for TASA (The Australian Sociological Australian). The feedback was very positive and that gave me enough momentum to turn the spoken words into written words. The peer reviewers used words like “insightful … well-researched … innovative … an original use of Charles Taylor’s” and it was accepted with minor editorial comments. I was delighted with the news today that my journal article The complexity of authenticity in religious innovation: “alternative worship” and its appropriation as “Fresh expressions” has been accepted for publication in mcjournal, an online peer-reviewed journal of Media and Culture. It will be published in late March, 2015, as part of an edition devoted to the theme of authenticity. Philip Vanini’s theorising of authenticity as original and sincere helps parse the complexity of contemporary religious innovation. 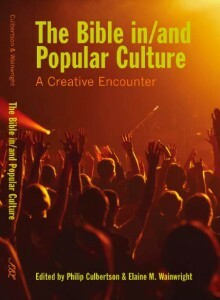 Ethnographic research into new expressions of church (“alternative worship”) showed that authenticity was a generative word, a discourse deployed in these communities to justify innovation. Sarah Thornton’s research (Club Cultures: Music, Media, and Subcultural Capital ) into club cultures similarly demonstrated an entwining of marginal self-location with a privileging of authenticity. Such acts of self-location, so essential for innovation and identity, were complexified when appropriated by the mainstream (“Fresh expressions” of church). The generative energy therein became focused not around originality but in maintaining the sincerities of existing institutional life. This article began life as part of a foray I did late last year, taking my research on sustainability and fresh expressions into a sociology context. 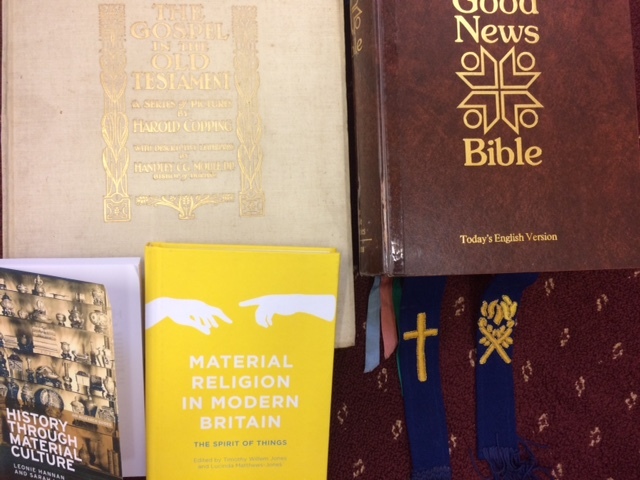 I had been reading in sociology of religion and so wanted to get some feedback from that particular discipline in terms of how I was utilising their categories in my research. So I presented two conference papers, this one on the complexity of innovation, and a second one on the sociological parsing of fresh expressions. I was very encouraged with the response to my two presentations. I worked over my study leave in December to turn the paper into an article. And now the news of acceptance for publication. It has been an extremely productive year for me in terms of writing. I have just completed my seventh piece of work which, considering my day job as a Principal, and when placed alongside regular monthly film reviews, makes for an extremely productive year. At church on Sunday, the phrase “scholars” lept out at me. The Magi, scholars from the East, come to worship. There was a sense that scholarship was welcome around the Christmas child. Thanks Jesus. What I submitted today was a journal article to M/C Journal, a fully blind peer-reviewed journal for media and culture. It is my first publication attempt in relation to my fresh expressions: ten years old research project. Here is the title and abstract. Philip Vanini’s theorising of authenticity as original and sincere helps parse the complexity of contemporary religious innovation. 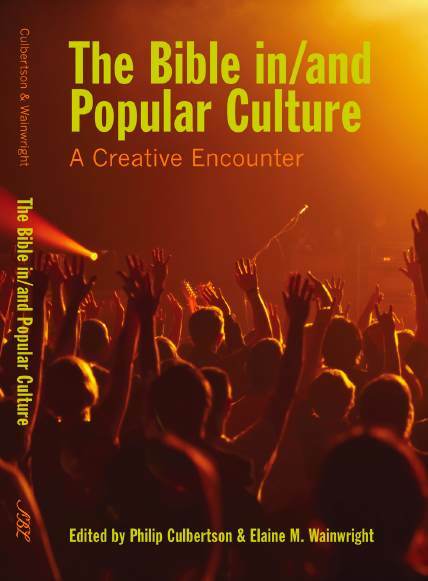 Ethnographic research into new expressions of church (“alternative worship”) showed that authenticity was a generative word, a discourse deployed in these communities to justify innovation. Sarah Thornton’s research into club cultures similarly demonstrated an entwining of marginal self-location with a privileging of authenticity. Such acts of self-location, so essential for innovation and identity, were complexified when appropriated by the mainstream (“Fresh expressions” of church). The generative energy therein became focused not around originality but in maintaining the sincerities of existing institutional life. The seven pieces for 2014 are as follows (four have already been published, which leaves three moving at various rates of speed with editors, which is quite standard). “The Congregation in a Pluralist Society: Rereading Newbigin for Missional Churches Today,” Pacifica: Australasian Theological Studies, 27(2), (2014), 1-24, (co-authored with D. Cronshaw). 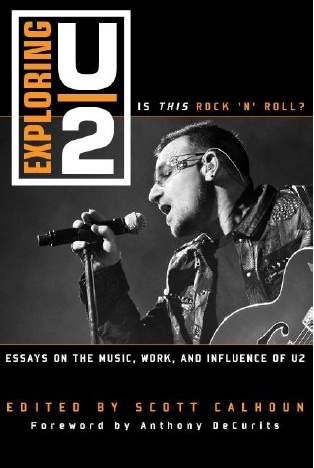 “Let “us” in the sound: the transformative elements in U2′s live concert experience,” U2: TRANS- , Going Across, Above, and Beyond with U2, edited by S Calhoun, Lexington Books. (Published). “Inhabiting Our Neighbourhoods: Plot by plot, plant by plant,” for “Inhabiting Our Neighbourhoods”: a flagship publication of Urban Seed’s new Urban Studies Centre. (Under review). Colouring outside the lines (Mediacom). “Carrying Cuth,” for Farewelling Our Fathers. (It is a “Men’s Studies” take on how men of my generation (40 and up) process the death of our dad’s. (under review).